I just saw Gattaca last night. Three thumbs up! (Gotta see the movie to get the joke.) I can't imagine a better movie for starting a discussion about procreative ethics. In an earlier post I was talking about Kavka's example of the couple that creates a slave child for a very bad man. The child winds up with a life that's worth living, and he wouldn't have existed if he hadn't been created at that time, and under those conditions. So where's the harm? That, in a nutshell, is the puzzle. (1) To condemn creating the child, we must point to harm. 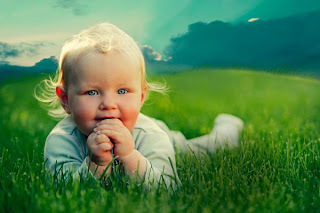 If there really is no harm, to the child or to others, then we should withdraw the condemnation. People who see it that way say we must only condemn creating new people for "person affecting reasons." (2) "Harm or no harm" is not the critical question. Rather, we should ask whether by creating the child the couple maximized the good. If there was something else they could have done which would have created more good, then they should be condemned. This is the approach of "total utilitarians." If those are our only two options, I lean toward total utilitarianism. It seems very odd to think the only critical question, where the child is concerned, is whether (in essence) he could complain about his birth. It doesn't seem to me that the people we create merely ought to be not better off dead. Creating people is a very big deal. New people have to live with themselves, and we have to make way for them, responding to their interests, rights (etc.). Let us be careful when we exercise the almost magical ability to create new people. But how careful? What does "careful" mean? The total utilitarian approach is odd too--leaving aside all the usual objections to utilitarianism. There are lots of things to worry about, but one is that the total utilitarian seems to have to not only condemn the couple for creating the slave child, but enjoin them to create a different child, a happier child. What we really want to say is that the couple shouldn't create the slave child, full stop. What they do next is their business! What's so terrible about saying they should create a different child? Well, we have a very deep-seated belief, in societies where women's equality has been hard fought and largely won, that it's up to a woman whether she has children. Of course, accepting total utilitarianism doesn't mean supporting any sort of coercion. But it does seem to lead to the view that it's good to have (happy) children. For many ethicists, that's the fatal flaw of total utilitarianism. We must shift to the person affecting view, or some other view, rather than accept that happy children are total-good-increasing entities. It's that crazy to say that anyone ought to have children, just because of the goodness thereby created. But shifting to the person affecting view doesn't really help, or not all that much. On that view, it might sometimes be obligatory to have children to bring about benefits to others. If "only children" were really miserable, it would be good to create second children. Some women would be enjoined to have children because the new generation is too small to take good care of the old (think about the problems created by Europe's shrinking population). If it's unappealing to think anyone has any obligation to have children, it's unappealing whether they're asked to do it "for the sake of the child" or for others. (A) Whether a new kid really will add to total goodness depends on the time, the place, the circumstances, the woman, etc. etc. I think it's very unclear that a woman living in an affluent country today, and bound to have a child with a large ecological footprint, is racheting up total good by having a child. Maybe just the opposite. So saying that it's good to have children doesn't translate into child-making duties for everyone living right now. (B) Some people who don't want children wouldn't be good parents; their children wouldn't be so very happy; and by being parents they would lose opportunities to do good in other ways. Those people would not have an obligation to have children. (C) Utilitarianism is generally a "demanding" moral theory. It tells us we must do all sorts of things that are very hard for us to do. Inevitably, we will not completely discharge our obligation to maximize total good. If I don't want to have a child, but should (on utilitarian grounds), this is one of the most arduous obligations I have. It helps me digest the idea that there's some obligation to have kids when I think of it as a "hard" obligation, the sort (like give enormous amounts to the poor) that understandably won't always be fulfilled. Picture the world 15,000 years ago, when humans were sparsely distributed over the face of the planet. Your tribe is dwindling. The youngest kids are surly teenagers. You can picture the forests devoid of human laughter and conversation (Disney images are coming to your mind, 15,000 years before Disney). If things continue this way, there will be fewer and fewer people. Wouldn't you be making the world a better place if you created a new human being? If there's a problem with total utilitarianism (and there may be! ), I don't think it's simply that the view means that some people, at some times, in some places, ought to have more children. That's not actually a ridiculous thing to think. do not flourish as mothers and would have flourished if they had pursued a career, instead of having children. Yes, that's puzzling. I'm thinking about it! A bird in the hand is worth two in the bush. In Spanish, it's a bird in the hand is worth one hundred in flight. That is, an actually existing being is worth many possible beings, since what will occur with possible beings is highly uncertain. The idea of future happiness involves extrapolating from the curve. Someone gets up in front of a group of people and shouts: "Children are good to have!" I tihnk this would be uncontroversial. Imagine instead they shout: "You are all obligated to have children!" I'm pretty sure that wouldn't sit will with people. The notion of being obligated to create...well anything does not sit will. Faust: I'm not at all sure that the idea that children are good to have is not controversial. My impression is that most people have children, without much thought, because everyone else has children, that is, out of a desire to conform, to be normal, but I know a goodly number of heterosexuals, both male and female, of my generation, who decided after thinking about it not to have children. For those people, having children was not considered to be a good. My point is not that it's attractive to recognize any duty to procreate, but maybe we have to -- to avoid saying things that make even less sense. Plus, I'm saying maybe we can mitigate the strangeness by recognizing points like (A) - (C). Even if one recognizes that bringing a child into the world is always a good (which I don't), why would that good necessarily trump other goods that a child-less person would have time and energy, not being engaged in child-raising, to commit herself to (basically, your point B)? Isn't the whole argument a veiled anti-feminist position, one that insists that woman's place is to bear children? Total utilitarians wouldn't think making a baby always trumped other goods. That's what (A) and (B) both point out. The view is that we ought to have a child when adding a kid to the world adds more to total happiness than anything else we can do. In many situations, that will not be case.